Where Is the Quicken Install File Located? OK, you've downloaded Quicken. So now where's the install file located? Where did it go on your computer after you downloaded it? You know that you should always write down where you're saving files on your computer as soon as you download them, but no one's perfect. If you bought and downloaded Quicken personal finance software but forgot to make note of where you sent it on your computer, here are a few things you can do to track it down. Click on the Search box, or on the File Explorer box if you're using Windows 10. The search box will appear at the top of the pop-up. Run the search. It may take a while for Windows to find the file, especially if you have a large and loaded hard drive. When your Quicken install file is located, double click the file from the search results to start the installation. It's also a good idea to note where the file downloaded in case you want to change the default location for saving downloads in your browser. If you bought Quicken from Quicken.com, your download should be available for three years. You can simply download it again if you can't find the original download. Take note of where you file it this time. All Quicken purchases require that users provide email addresses and create usernames and passwords. If you find that you have to download Quicken again and you forgot either your username or password, you can recover either of them on the Quicken website in "Forgot Your Login or Password?" You might also want to install the software immediately this time rather than simply save the install file so you can deal with later. It's literally just a matter of a few extra mouse clicks at the end of the download process. Click on the product you previously downloaded to download it again. When the download is complete, you'll be offered the option to install it right then and there. Just click on "Run," or if you're using Google Chrome, click on the "Download Progress" tab at the bottom left corner of the pop-up. 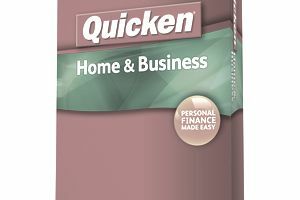 Quicken will guide you from here, offering step-by-step instructions to install or reinstall the program. At this point, you shouldn't have to worry about locating the install file because it's already done what it was intended to do—your software is up and running.